Sadly, some crashes never make the news. That was the case in North Hollywood last week, when a bike rider was killed after falling in front of a car that had changed lanes to go around him. According to an officer with the LAPD’s Valley Traffic Division, the 50-year old victim was riding south on Coldwater Canyon Ave near Saticoy Street last Tuesday, riding with one hand while holding a cup of coffee in the other. When he moved left to go around a parked car, he clipped the car’s mirror and fell into the left lane, where he was hit by the car. Tragically, the driver had seen him, and had already moved left to give him a safe passing distance. No word yet on the victim’s identification, what time the crash occurred or whether he died at the scene. 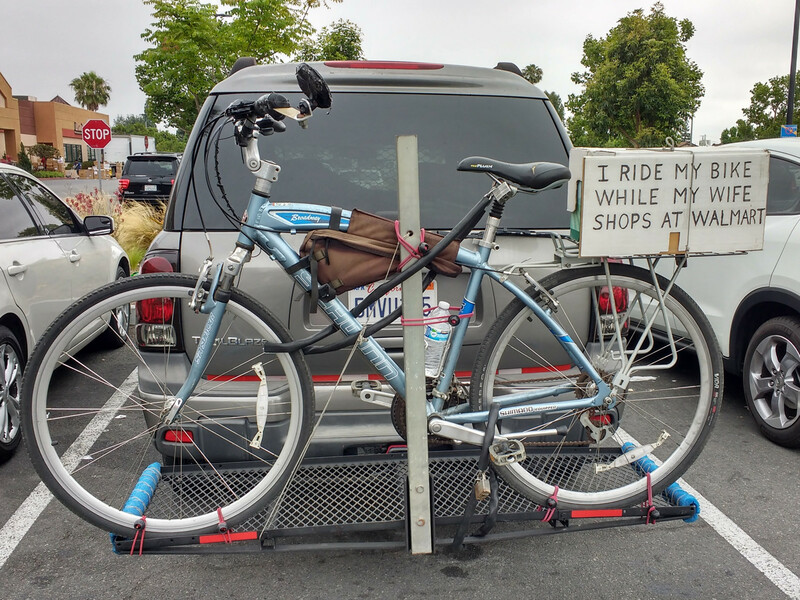 This should be a reminder to stay out of the door zone, and hold onto your handlebars as if your life depends on it. Because sometimes, it does. This is the second bicycling fatality in Southern California this year, and the second in Los Angeles County. It’s also the first in the city of Los Angeles since the first of the year. Update: The victim has been identified as 52-year old Efrain Molina; the crash occurred at 5:55 am on Coldwater between Elwood and Saticoy. My deepest sympathy and prayers for Efrain Molina and his loved ones. 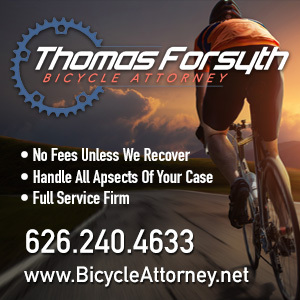 Dooring is one of the most common kinds of bicycling collisions, but it is rarely fatal. Unfortunately, that’s not always the case, as the Daily News reports that an e-bike rider died yesterday as a result of being doored in North Hollywood. According to the paper, the cyclist, identified only as an man apparently in his 50s, crashed into a car door on westbound Vanowen approaching Longridge Ave around 10 am Tuesday. A passenger in the parked car opened a driver’s side door into the path of the rider, who fell after crashing into it; he was pronounced dead at the scene. The passenger remained at the scene and tried to help the victim. It’s important to note that CVC 22517 requires any person opening a car door to wait until it is safe to do so without inferring with moving traffic. As a result, the person opening the door is almost always at fault in a dooring, whether it’s the driver of a passenger. This is the 76th bicycling fatality in Southern California this year, which compares with the same number this time last year. It’s also the 29th cycling death in LA County since the first of the year, and the 10th in the City of Los Angeles. Word is just coming in from multiple sources that a cyclist was killed in North Hollywood this morning. 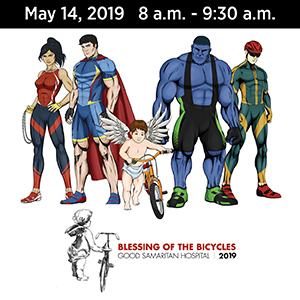 According to virtually identical reports from LAist, KABC-7 and North Hollywood – Toluca Lake Patch, the rider was headed west on Oxnard Street at Radford Avenue around 6 am when he was struck by a vehicle turning right onto Oxnard from southbound Radford. The victim has only been identified as a man in his 60s, pending notification of next of kin. He was pronounced dead at the scene. No word on whether he was using lights and reflectors at that early morning hour, or which party had the right-of-way; there is a traffic signal at that intersection. The driver remained at the scene, and reportedly is cooperating with investigators. And how sad is it that something like that even needs to be mentioned. This is the 64th cycling fatality in Southern California this year, which equals the annual average for the last seven years. 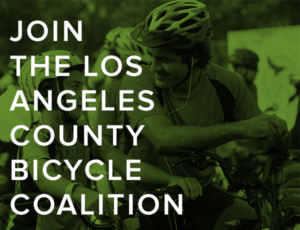 And it’s the 20th bike death in Los Angeles County, as well as the fifth in the City of L.A., which equals last year’s total. Update: A source with the LAPD confirms that the driver of a truck stopped at the light before making a right turn onto Oxnard. He didn’t see the cyclist crossing in front of him as he made his turn. The victim’s bike did have a light. However, collisions like this are why it is so important to make eye contact with any driver that poses a potential risk while you ride. If you can’t see the driver’s eyes, you have to assume he can’t see you and doesn’t know you’re there. The officer says the rider was found with earbuds, which he may or may not have been using at the time of the collision; you can use an earbud in one ear when you ride, but it’s illegal to wear earbuds or headphones in both ears. Maybe they didn’t get the memo. As most cyclists know, the way to get away with killing a bike rider in this country is to run him down with your car, then claim you just didn’t see him. Yet SoCal criminals insist on using a gun, instead. 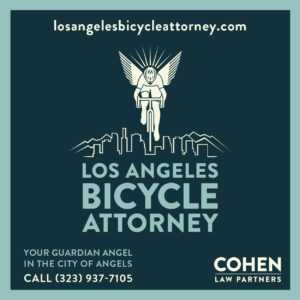 For the 5th time in the last 6 months, a bike rider has been shot and killed, this time on the 6800 block of Laurel Canyon Blvd in North Hollywood. The Times reports that the victim has not been identified yet. According to KABC-7, the shooting occurred around 1:40 this morning; police arrived to find a man in his early 20s lying in the street next to his bike, dead from a single gunshot wound to the torso. At about the same time, a nearby sheriff’s deputy chased a white ’95 Chevrolet Astro Van after seeing five or six people take off in it, but lost it in a solo pursuit. It was later discovered abandoned several miles away at the intersection of Sherman Way and Tyrone Ave; KABC reports police have identified the van’s owner, and that it has not been reported stolen. Not surprisingly, the killing is suspected to be gang-related. According to KNBC Channel 4, a 40-year old bicyclist was hit and nearly killed Wednesday evening at the intersection of Laurel Canyon Blvd and Archwood street. A reportedly outraged Det. Bill Bustos contacted the station asking for the public’s help in identifying the driver of a black SUV — possibly a Nissan Pathfinder — who fled the scene after knowingly striking the rider. Anyone who has any information should call Det. Bustos at 818/644-8010. Update: KABC Channel 7 has a more detailed report online, including video of the crime scene — and yes, it is a crime to leave the scene of a collision, regardless of how it happens or who is at fault. The incident occurred just after 5 pm as the cyclist attempted to cross Laurel Canyon. Reading between the lines, he may have been in the crosswalk when he was struck. The station reports that drivers in the right lane were stopped, while the vehicle in the left lane continued through the intersection and struck the cyclist at 35 mph, knocking him eight feet into the air. KABC describes the vehicle as a dark green Jeep Cherokee driven by a Hispanic male with a female passenger; the car should have damage on the front driver’s side. Reports are unclear on whether the police have identified the victim, or if they are withholding his ID until next-of-kin can be contacted. However, this is a good time to remind cyclists to always carry ID with you when you ride, including at least one emergency contact number. It’s also a good idea to carry it in more than one place — I keep mine in my bike bag, as well as another folded inside a plastic pouch in my jersey pocket. And this would make a perfect holiday gift for any cyclist on your list. And for all you drivers out there, when traffic stops ahead or next to you, there may be a reason for it. Never, ever, ever drive past a line of stopped cars until you can see why they stopped.